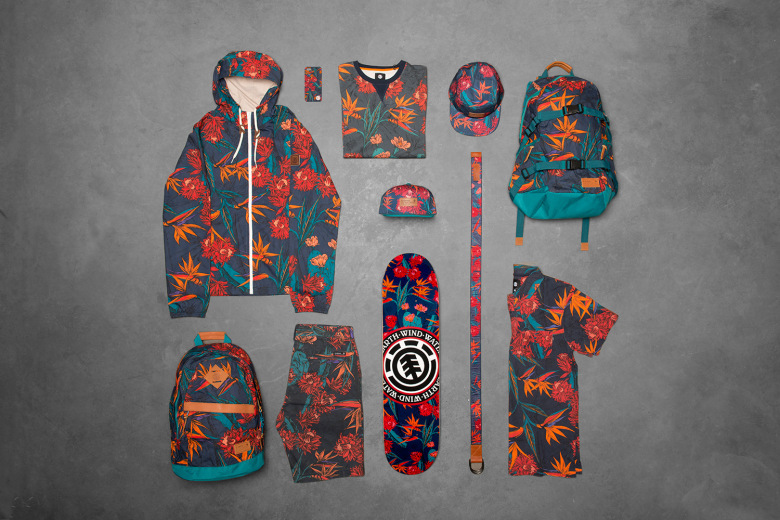 California based skateboarding company Element has released the “Sketch Floral Collection”, as part of its new 2015 spring collection. 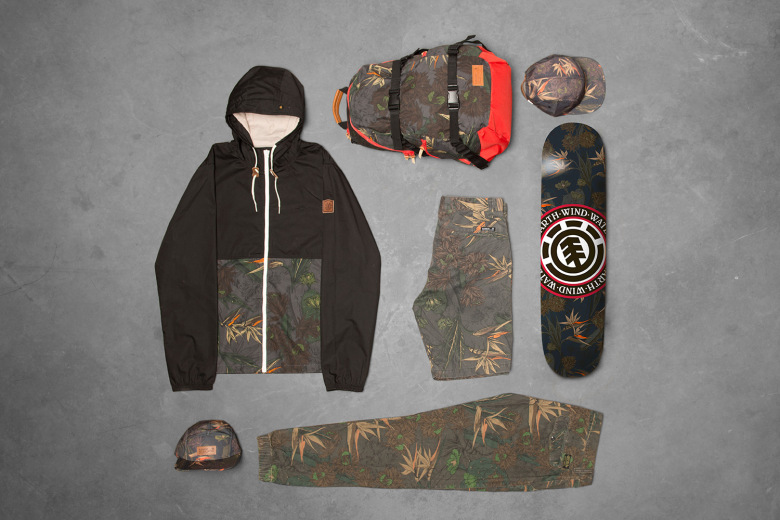 Available in three distinctive colorways, the range features a striking cactus floral print throughout the series of jackets, shorts, bags, footwear, accessories and more. As part of the special release, Element teamed up with filmmaker Fred Mortagne, aka French Fred, to create a short commercial. Shot in the streets of Barcelona the video stars Element sponsored rider Nick Garcia and can be viewed below. For more information and to shop the Sketch Floral collection visit Element.